I placed a cloth diaper right sides together with a piece of my flannel. 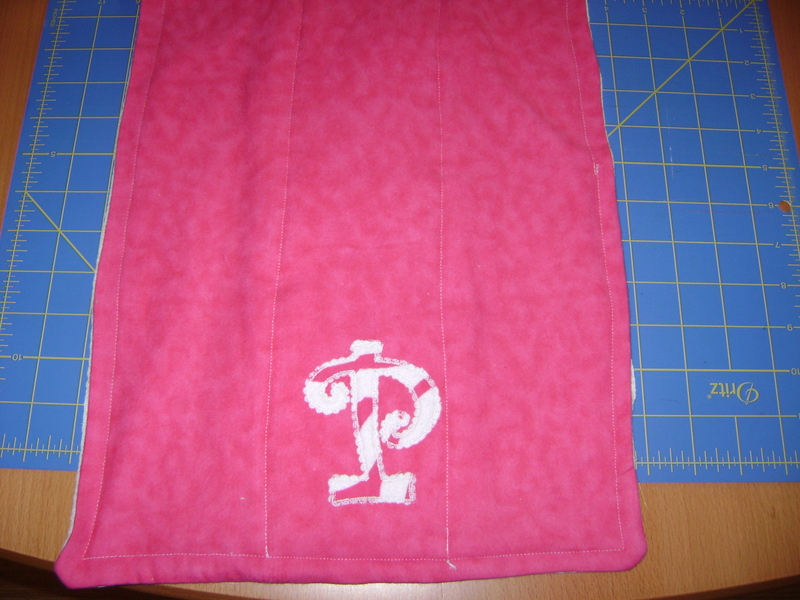 I did embroider my fabric first on this one, so I made sure that was centered. 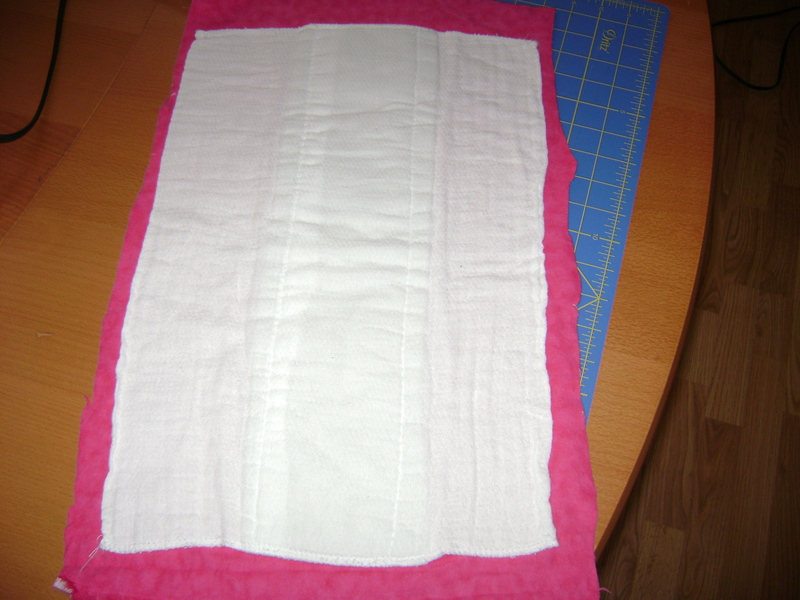 I made my pink fabric larger all around because the diaper is such a loose weave it is hard to keep it straight. The extra room gave me room to maneuver a bit. 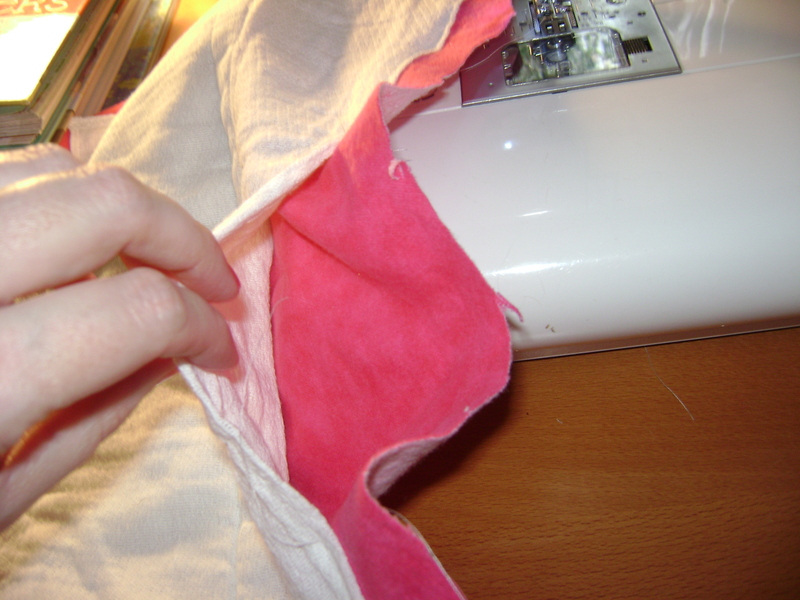 Top stitch around the edge of the diaper, trying your best to keep the diaper from shifting much. 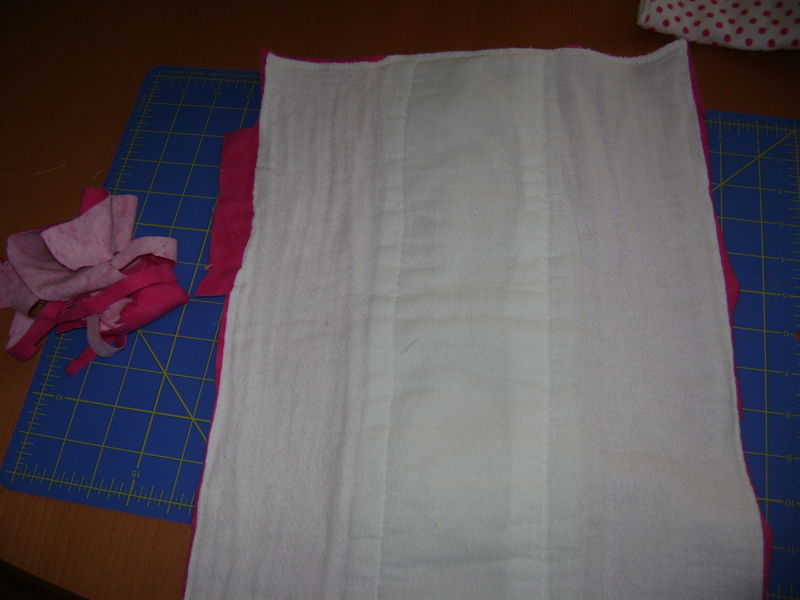 Leave an opening along one side a few inches wide to pull the burp cloth right side out. Trim your excess from around the edge leaving a good half an inch outside the opening you left. Pull your burp cloth right side out. 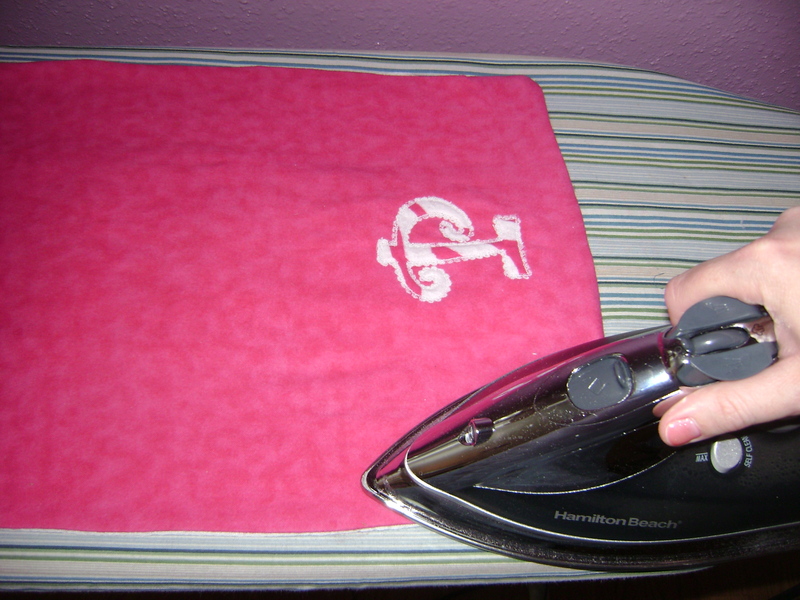 Press your cloth. If you embroidered yours be mindful not to press your threads. 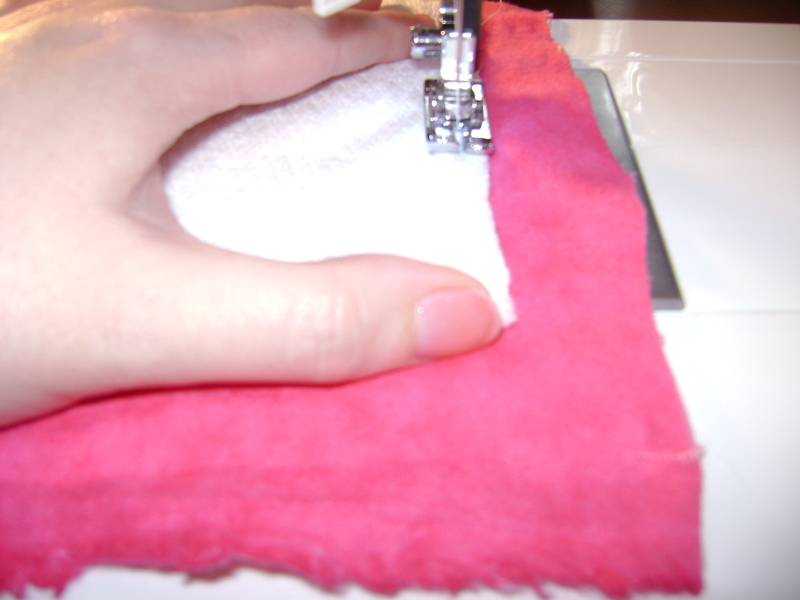 Press the extra fabric you left for your opening into the diaper and make sure it is even with the sides of your cloth. Top stitch around the edges of the diaper. The middle can be thick, so I slowed down on the ends when sewing through there. I chose to stitch in the ditch along the lines on either side of the middle portion of the diaper. My friend had hers stitched across the diaper so it folded in thirds. I think as long as you stitch it to keep it from shifting it is fine. I made three cloths, one out of each of my three coordinating fabrics. I only embroidered the solid pink one. 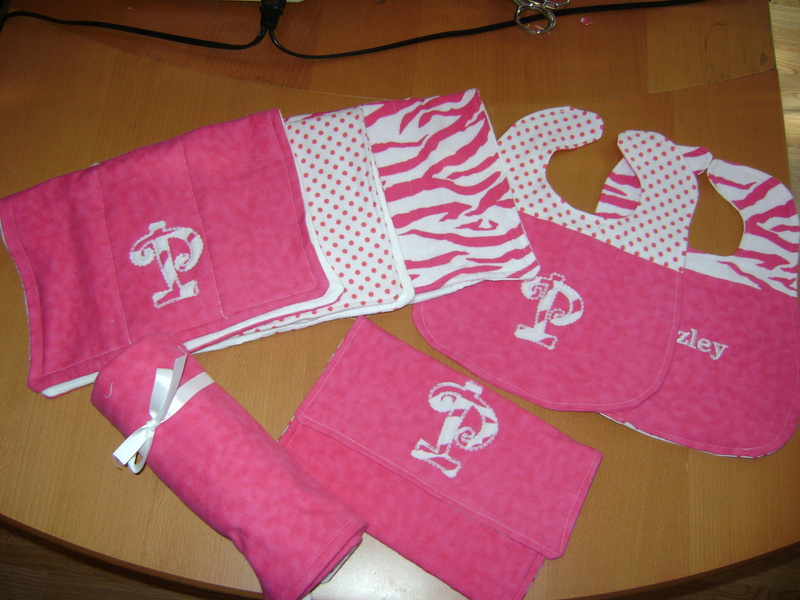 Here is how the baby gifts look all together. So cute! 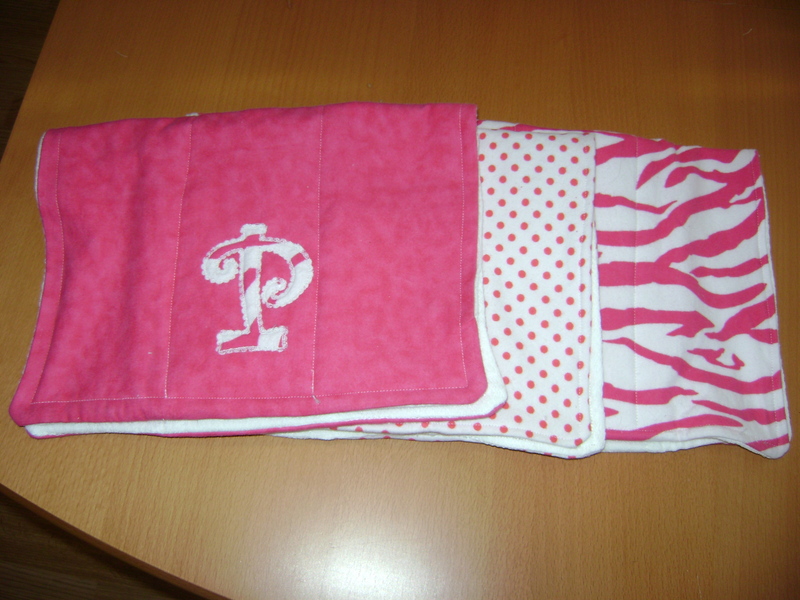 This entry was posted in Make for Baby, Project Tutorials, Sewing FYI and tagged baby gifts, make for baby on April 9, 2012 by staciethinks. Do you mind me asking why you should not press your threads of the embroidery?? I was probably worried about melting them…..